We know you’ve been waiting ages for us to publish the new JoomSport for Joomla version. We have done a long way to bring the high demanded release to production - we changed many aspects serving our clients to bring the best customer experience and keep going with the product development. Now live match streaming is available in JoomSport. There is new "Live" tab where match details and comments are posted by Season admin. It is connected to Facebook, Twitter and could be also just the new way how to manage your game details via front end. Now Standings layout much more adaptive to the screen size and displays shortened column names accordingly to screen resolution. The software analyzes the width available during the page load and displays the full or shortened names according to the space available. There is also ability to edit shortened names in language files. As you might have noticed already the new release is also loaded with completely new flat icons set. Professional look and feel is something you can expect from every point of our software now! Among new features the new vertical timeline has been implemented. Once you assign time to every player event in game you will get well organized timeline with modern look and feel. New date type extra field allows to enter birth date that will be displayed as age or birthday on FE. Completely new knockout design delivered. Clean, simple and accurate. • Box score total flexible calculating - New ability to set up each Box score stats item, enable it's columns and totals separately for Team, Match, Player. • Team match events management improved in admin panel. You don't need to spend days clicking on drop down for every team level statistic. • Highlight team feature view improved on standings layout. It is more accurate and simple. • Persons Extra field bug on Quick match create page. During the past few months we've been analyzing and gathering your requests on our feedback page. We've been working really hard to deliver the most required and useful features and improvements in our new Joomla JoomSport release. The most exciting one is highly demanded section Persons, that allows managing Referees, Coaches and all other staff with their own profile page including photo or any needed additional information. Ability to create Person type Extra field allows assigning Persons to required item for example to Team, to Match or even to Venue. For those of you who need ability to manage sport website on different languages we are glad to announce that now you can finally do so using JoomSport multilingual content functionality. Already have installed several Joomla languages? Just enable multilingual content functionality in JoomSport configuration section and you will be able to enter JoomSport content in several languages without any difficulties. So Leagues, Teams, Players names etc will be displayed on FE in available languages depending on website user preferences. If you manage Single elimination competition where participant goes to the next stage after several matches don't miss new feature called Set of knockout matches. Now for two participants you can add as many matches as you need before moving the winner to the next round. Ability to switch Home/Away allows organizing most of Playoffs and Cups. Player stats has been adjusted a lot in one of the last version and we do not stop improving it - now as it was requested in Match layout settings you can specify Event that make Player to leave match. 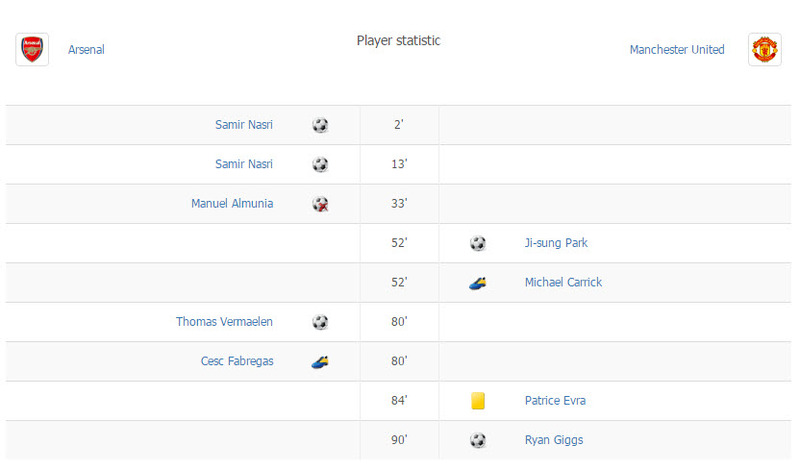 For Example once Player gets Red Card his played minutes are not counted anymore in this match. We have great news for the Arab world - Arabic translation has been added to both sides of JoomSport- Back End and Front End. Spanish, German, Slovak, Polish translations were updated. Thank you everyone involved in translating! Scroll module: For displaying matches ability to specify day range has been added - now you can indicate matches of how many days before or after current date should be displayed in module. We have done a lot of tests and fixes for this module so now it runs like clockwork! Additionally there is no more need to use separate Today matches module - Today matches feature has been included into Scroll module - now you can display matches of today with all Scroll module advantages. Following the improvements delivered we have stopped support of old "Today matches" module. Players statistics module: we have updated CSS of this module so it looks much more professional and up-to-date. *Please pay your attention that during reinstalling JoomSport modules you loose already configured JoomSport modules and then you will need to set up reinstalled modules again. Desired and hotly debated on JoomSport feedback page feature that moves player stats management to the next level. Ability to add box score records with variable options (divided into player roles, countable and based on other stat records, simplex or composite, ability to assign parent items, etc.). We are sure this functionality will be quite helpful for managing data in such sports like hockey basketball, volleyball, American football and many others. How to use Box score stats effectively please check on our documentation page. Please download new 4.2.0 version from your Members Area. If you have any ideas or suggestions how to improve JoomSport product please don't hesitate to share it on JoomSport feedback page and we will definitely consider it. Feel free to contact us if any questions appear. Each JoomSport major release brings very special feeling to our team - emotion of celebration and proud of achievements. In fact it is the feeling that something important is changing again in our company and in our products and even more - that we actually leave a mark in history. We're also glad to note that current release is not a trivial code update with some bug fixes but it includes some new WOW features inside. It was very hard to deliver this time - the team had so many discussions, disputes and emotions. Each member of our team hopes that EVERY customer who updates his local instances to the latest 4.1 release will also have this WOW feeling. We have delivered two optional blocks for Player profile page. Played minutes, Lineups, Substitutes, Goals and other Events can be displayed in Career block with flexible columns. This block allows comparing Player performance in different Seasons. Match Statistics block displays Player events by matches. Effective way to display Round Robin fixtures and played matches. There is ability either display Matrix button on Season table or show a separate layout by adding the new Menu item. It is Delivered free of additional charge with the main product package as Matrix doesn't really bring new functionality but combines the way how the current data is presented. Now match statistics is more useful than ever. Colorful timeline is a perfect visual display of Player events in their sequence. Match duration is used as base scale and event images are stringed on it. In JoomSport all matches are organized by Matchday and now there is ability to display Calendar by Matchday as well. Matches of separate Matchday on each page. Handy navigation allows getting to the required Matchday without any difficulties. By default Matchday with the most recent match is displayed first. Moreover new module with the same functionality is available in public version. 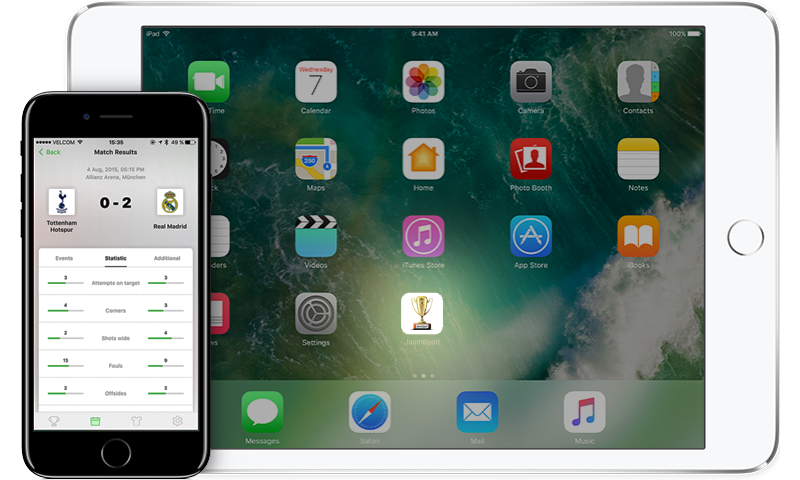 Included mobile API will allow each client to purchase and use our future Mobile application product so this is the first step to get mobile application for your club or league. Updated translation to Spanish (special thanks to Pasionporelrayo project), Slovak, Chinese, Portuguese, Czech, Slovenian, Italian, Polish, Portuguese, French and Russian. Many thanks to all the translators who supported us on product localization! 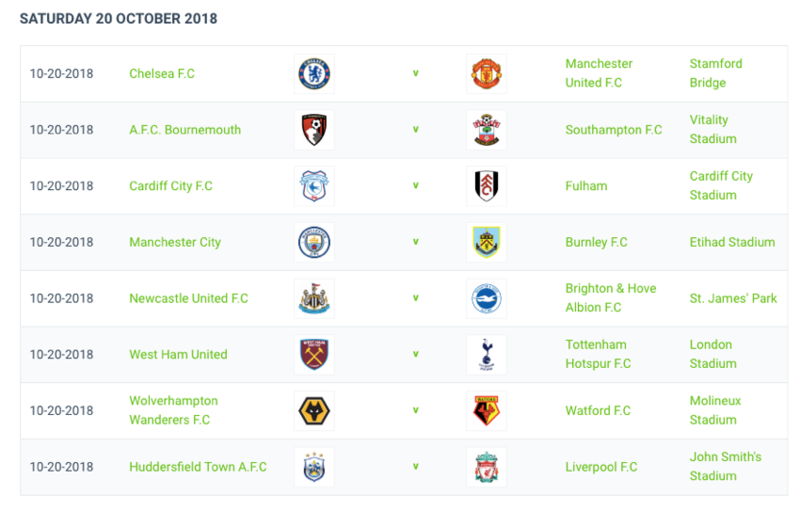 Predictions integration with Knockouts matches, Venue Google API fix, check version algorithm improvement, Match layout order by Player Extra field (Squad tab) doesn't work, unable to delete match custom status, improve knockout layout when branding removed, Today matches edit results are not added to the Season table, Scroll module alignment, fixed CSS for tooltip on calendar, big number inside the score fix, add all teams to the season fix. Please download the new 4.1.2 version from your Members Area and install it on your website. Check documentation and demo and if any questions appear feel free to contact our friendly support team any possible way: Chat, HelpDesk, Forum. We would be glad to hear your feedback.